Chuck Gohn, president of the insurance company Associates of Glens Falls, stands in front of the company’s newly aquaired building at 220 Glen St. The company is expanding into this space. Associates of Glens Falls, an insurance company, recently acquired property at 220 Glen St. in Glens Falls and plans to expand. The business, located at 228 Glen St., is experiencing a run of activity, one in which their current building is not sufficient enough to sustain. “We were running out of space to grow into,” said Chuck Gohn, president. 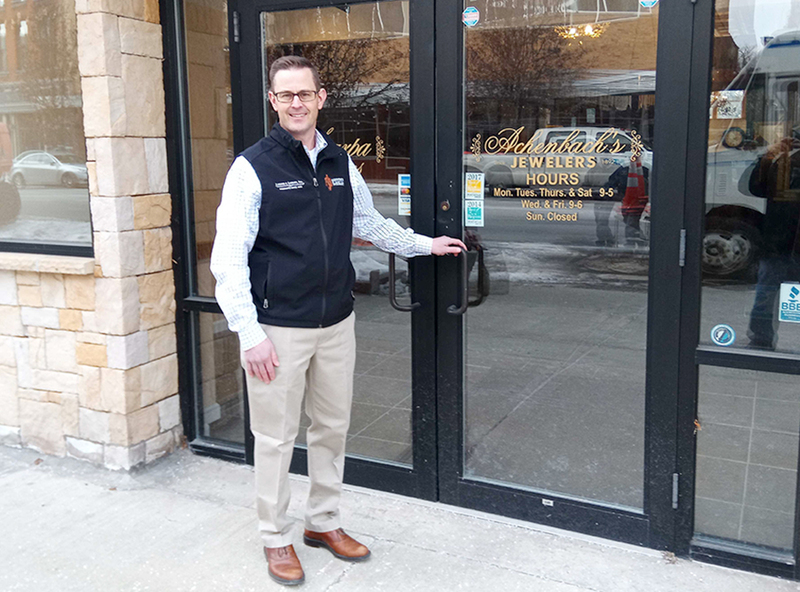 Associates of Glens Falls closed on the purchase of the 9,200 square-foot, three-story former Achenbach’s Jewelry store in December. The sale price was approximately $420,000. Gohn said the company loves being in downtown Glens Falls, a location they moved to in 1978, and did not have to look far for a comparable building to expand into. “We are a fixture in the community,” he said. Gohn said the company is temporarily filling out the second floor for office space while renovation continue. The company will take over the full building in February. Three sales and support staff will be hired with the move, according to Gohn. Associates of Glens Falls is a property and casualty insurance company founded in 1967. The company has continuously expanded since purchasing Loomis and LaPann in 2015, an insurance company that first opened for business in 1852. Gohn said there is opportunity for continued growth in the next 15 years. “We’re looking to grow our sales staff and acquire other agencies in the future,” Gohn said.